TRAFALGAR-- The death of a 5-year-old boy from a car crash left his preschool in mourning Monday, with teachers trying to explain his death to his classmates. 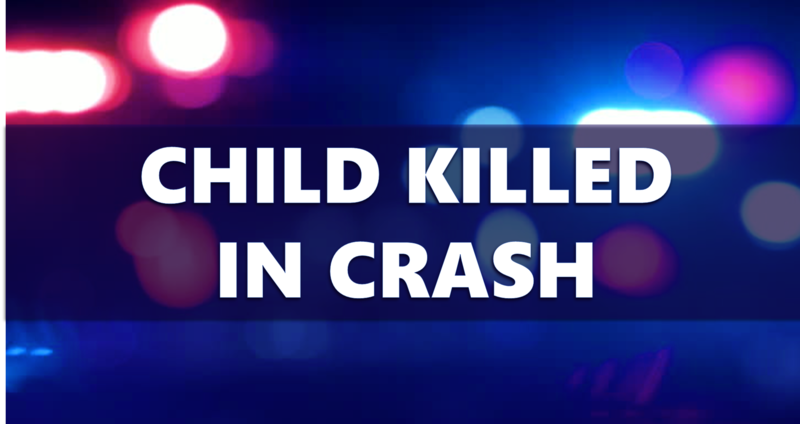 Crews found Elijah Crowe, 5, buckled in his car seat, unresponsive, when they responded Sunday morning to a crash at the intersection of State Road 252 and County Road 150 West. Police performed CPR, and medics rushed him to Riley Children's Health. Police say the boy's father, Aaron Crowe, 28, was traveling on County Road 150 West in Trafalgar, when for unknown reasons, his vehicle collided with a vehicle driven by Ronald Brown, 79, traveling east on State Road 252. Elijah was pronounced dead at Riley. Aaron, of Trafalgar, remained in critical condition Monday at IU Health Methodist Hospital. Brown, of Bargersville, was taken Sunday to Johnson Memorial Hospital for observation. WISH TV's Elizabeth Choi reports that Elijah, who had just turned 5, was a preschool student at Greenwood Christian Church, where staff said his death left behind both heartache and hope. They said he was full of faith. Recent video captured Elijah sharing the story of Adam and Eve with his classmates. "There was the human and the boy. He took the rib out of the boy and made a girl," Elijah says in the video. "We wish the person who died could come back and stay here with us. But that can't happen. It just can't," read Carah Cruse, Director of Childcare at Greenwood Christian Church. She was reading to students Monday morning to help the kids cope with the loss of Elijah. But hope is what she said staff felt when reflecting on Elijah's life. "His teacher Miss Jenn says that of the kiddos in her class, she felt he knew Jesus the most from all the kids in the class," said Cruse. "It just leaves a void that is just indescribable," said school principal Marie Pendleton. Pendleton said she would remember Elijah's friendliness and infectious smile. "He would speak every morning. Very polite, well mannered. Just a pleasant little boy," she said. Greenwood Christian Church emailed parents on Sunday to inform them of Elijah's death. In addition to extra support staff, the school also had three state troopers from the Indiana State Police crisis team to comfort students.